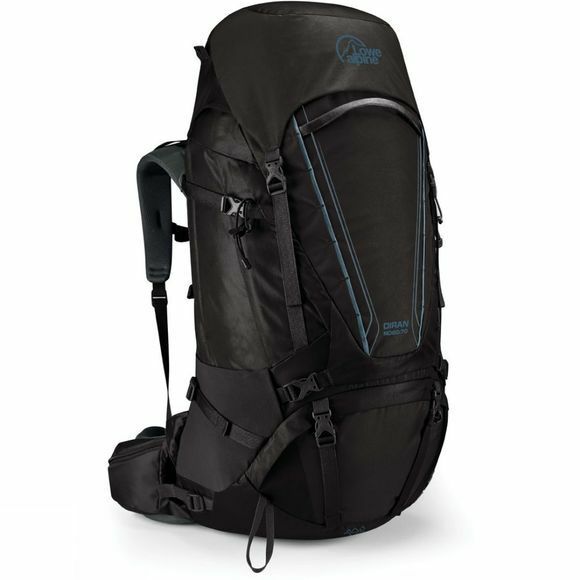 The Womens Diran ND60:70 Rucksack from Lowe Alpine is a technical backpack designed for travelling no matter where you are! It has many features that make it a great rucksack to take, be it on top of a mountain or a trek around the peak district. The backpack has many great features such as a built-in rain cover along with a zippered front panel for ease of access for when you need to grab something quickly on the go along with built-in hip belt pockets. 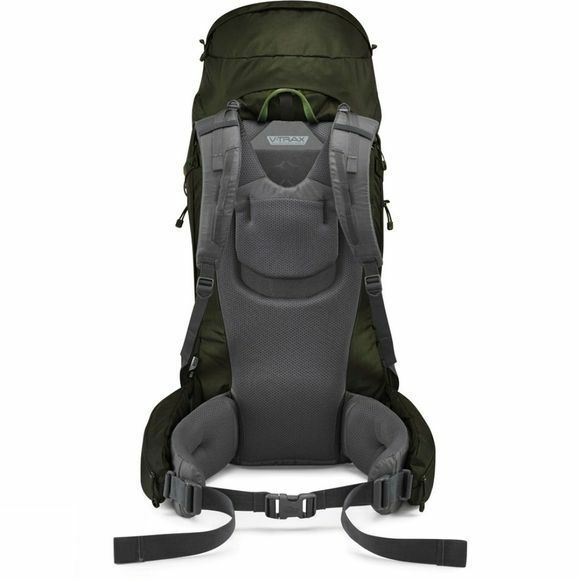 The rucksack also has an extendable lid to increase the volume by an extra 10 litres when needed taking the rucksack from 60-70 litres. For any items that you may not be able to fit in the rucksack or require extra storage, you can attach to the lash points on the bag meaning you can take more with you with less space filled by an item such as a tent. Lower side compression can be routed inside or outside bottle pocket.